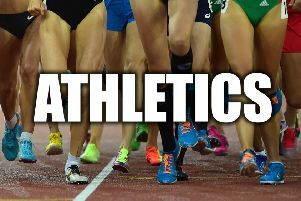 South Yorkshire have selected a team of 34 athletes to compete in the English Schools Championships which start tomorrow and continue on Saturday when the majority of the track finals take place. Last year South Yorkshire had five medallists which is a hard act to follow. Only one of them is action again, Acacia Williams-Hewitt (Sheffield) in the intermediate 200 metres. Third in last year’s junior age group she will face tough opposition in her first year in the intermediate section. Saskia Huxham (Sheffield), fifth in the intermediate 300 hurdles last year, moves up to the senior ranks where she opts for the 800 metres. Her best time is inside 2:10 which would have been good enough for a medal in last year’s English Schools final. Bronte Jones (Sheffield), seventh last year in the senior girls discus, competes again. Consistetly around the 40 metre mark, her best of 42.53 would give her a medal chance. Melissa Coxon (Rotherham), talented across a range of events, opts for the intermediate girls 300 metres hurdles. 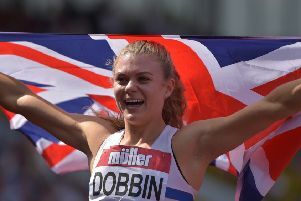 Ranked third in the country this year, she should be pressing for a medal whilst Doncaster’s Josh Dickinson will be competitive in the intermediate boys 3000 metres.